Wow, look at that bunny! Introducing The Original White Bunny Mascot. This full-body costume is a great Easter ensemble or super party costume. 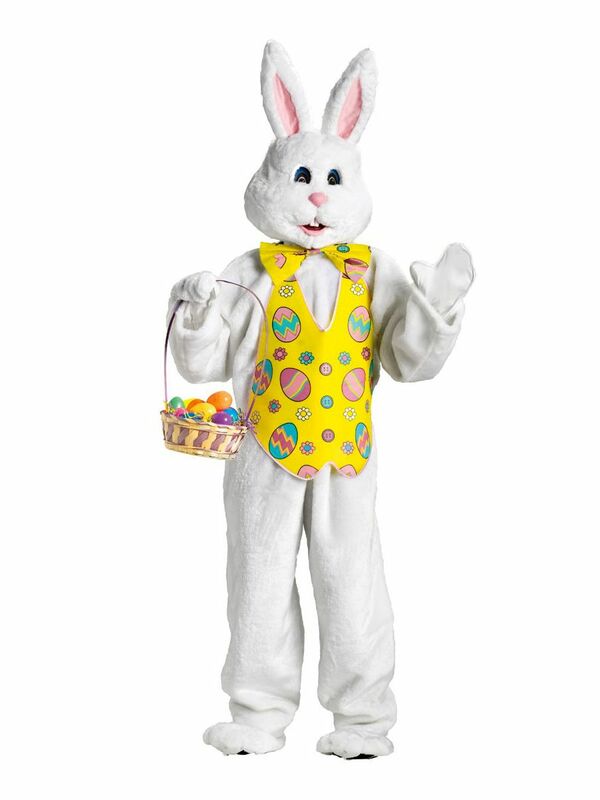 Features a large plush body with yellow cupcake vest for that jolly look and an oversize bunny head. Comes with matching white mittens and padded footing. This costume is so cute for its large and plush look. Buy it today!